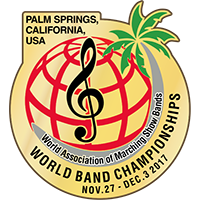 We are so excited to welcome the following bands that are scheduled to appear* at the 2017 World Association of Marching Show Bands World Championships in Palm Springs! … and we want YOUR BAND to APPEAR! *Scheduled to appear at time of publication. All groups are subject to change.